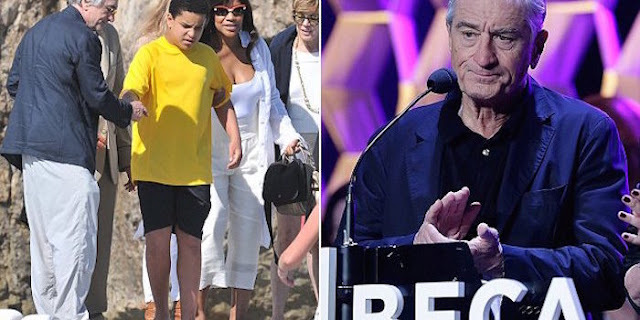 Robert De Niro To Produce Film Proving Vaccines Cause Autism..
Robert De Niro has announced plans to produce a new documentary exposing the dangers of vaccines and their connection to autism. In a recent interview with entertainment website Vulture, the Goodfellas star discussed the recent decision to shelve a screening of anti-vaccine film “Vaxxed: From Catastrophe to Coverup” from his Tribeca film festival. Well, what I learned, first of all, there was a big reaction, which I didn’t see coming, and it was from filmmakers — supposedly, I have yet to find out who it was. I wanted to just know who they were, because to me there was no reason not to see the movie. The movie is not hurting anybody. It says something. It said something to me that was valid. Maybe some things were inaccurate, but if the movie was 20 percent accurate, it was worth seeing. And they were saying it’s because of the filmmaker and he was discredited, but how was he discredited? By the medical establishment? There’s a lot going on that I still don’t understand, but it makes me question the whole thing, and the whole vaccine issue is a real one. It’s big money. So it did get attention. I was happy about that. And I talked about another movie called Trace Amounts that I saw and spoke about it a lot, that people should see it, and it’s there. Something is there with vaccines, because they’re not tested in some ways the way other medicines are, and they’re just taken for granted and mandated in some states. And people do get sick from it. Not everybody, but certain people are sensitive, like anything, penicillin. While saying he wouldn’t advocate a second time for “Vaxxed” to be screened at Tribeca, De Niro hinted his new documentary film – to be produced with movie mogul Harvey Weinstein – may focus on revealing the financial motivations behind vaccine manufacturers, as well as highlighting pharmaceutical companies’ ties to government agencies, such as the CDC. Last month, De Niro, who blames his son’s autism on vaccines, told the Today Show he believed there is a definite “link” between the disease and vaccine ingredients. “Let’s just find out the truth,” De Niro concluded.